A sanctuary beach haven that ignites the senses, restores the soul and excites the spirits. 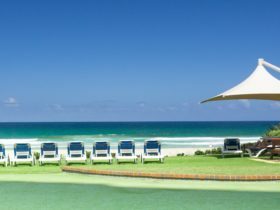 Located in the heart of Broadbeach, just 200 metres from patrolled beaches, a luxurious hotel featuring 296 beautifully appointed rooms and suites, all with breathtaking ocean or hinterland views. Surrounding the hotel are plentiful soul-igniting experiences. Chic laneways occupied with sleek cafes, bars, exquisite restaurants and artisan experiences. 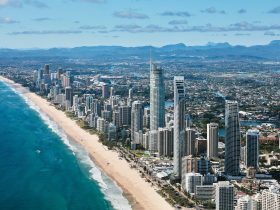 Within walking distance of the Gold Coast Convention Centre and a heartbeat away is the illuminated Star Casino, distinctive designer shopping at Pacific Fair is opposite. 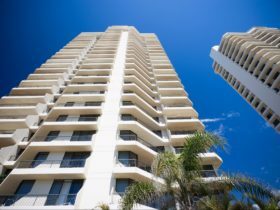 The hotel is also conveniently adjacent to the light rail link North Broadbeach station. 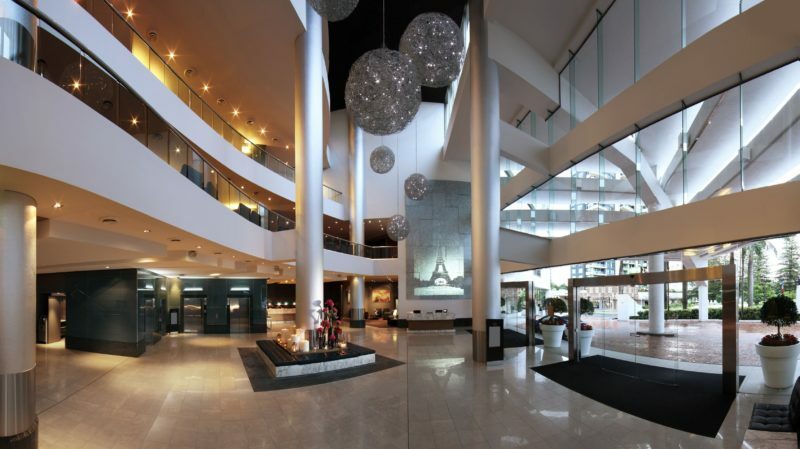 Sofitel Gold Coast Broadbeach artfully blends its French origins with the very best of local culture. Whether casually dining outdoors in the resort-style french bistro, or enjoying an epicurean journey in the two chef-hatted restaurant, room 81 – this is luxury dining -and living- unlike anything else. 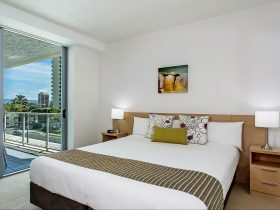 Rooms exude comfort with contemporary furnishings, individually controlled air conditioning, stunning marble bathrooms with separate bath and shower, private balconies, LCD televisions, movie channels and high speed Internet connection. 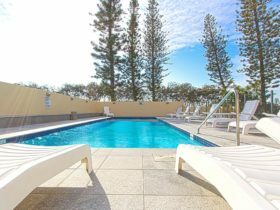 Hotel facilities include room81, Bistro On3, TC’s Bar and Gaming, library, gymnasium and two heated outdoor pools overlooking the hinterland. 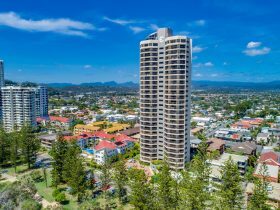 With magnificent 180 degree views of the Gold Coast, these rooms contain one king size bed with combined living area and large wraparound balcony. The en-suite bathroom features a spa bath, from which you can enjoy the ocean views and champagne. Great for family or business executive, these rooms are stylish, modern and contemporary. They feature beautiful marble bathrooms, large LCD televisions and picturesque river and hinterland views. The rooms contain two double beds or one king bed with combined living area and en-suite bathroom. The Superior Ocean View room has stunning views of the Pacific Ocean. This room is perfect for experiencing true luxury with a Gold Coast feel.